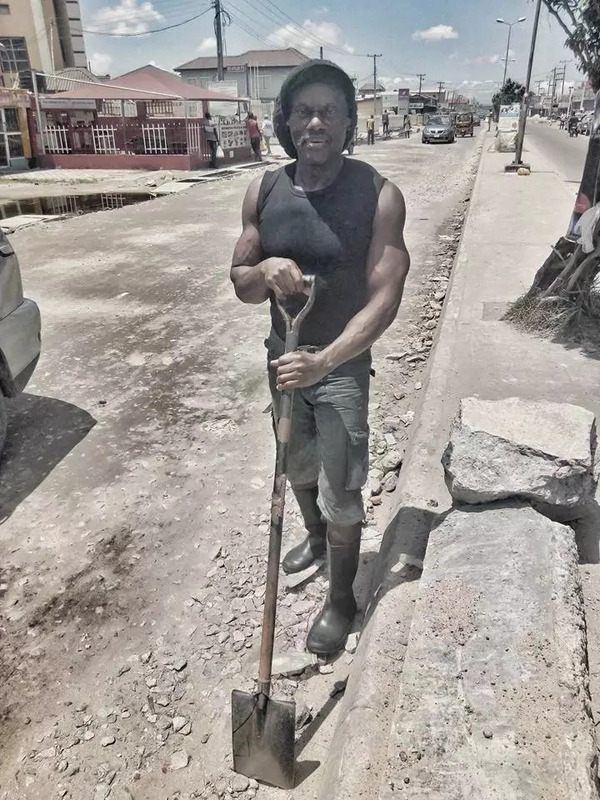 A Nigerian Olympic weightlifter in the 80s popularly known as Ironbar Bassey, is now a construction worker in Lagos after allegedly being abandoned by the government. 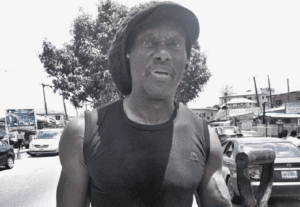 51-year-old ‘Iron Bassey’ was an athlete who represented Nigeria in Weightlifting at the 1984 Olympic games in Los Angeles. He however had an injury and couldn’t continue in sports. Sadly, the government allegedly abandoned him to his fate and he recently relocated to Lagos to provide for his family. Below is the account of Alex Blanc Okelue who had a one-on-one conversation with him. This is a story of a man who does what most Nigerians will naturally not do. He is a husband, father, a Nigerian (from Cross Rivers State). He is an construction worker. His name is ‘Mr Bassey a.k.a Iron Bar’. He got injured as a weightlifter for Nigeria in the 80s. In more organised countries with responsible governments, he will be taken care of and he will lack nothing. Not too many people pay attention to his rare community service which he started in 2015 right after he left his family in Calabar to work in Lagos. He met an old woman on Badore-Addo Road, Ajah, walking and felt troubled to see such an elderly woman stressing herself under the hot sun. He went to find out why, the woman told him the traffic on the road was unbearable so she decided to walk. Out of concern, Mr Bassey decided to know the cause of the traffic and how he could solve the problem that day, if possible. During his finding, he observed that some pot holes ahead caused vehicles to slow down, thereby causing the traffic to build up behind. He decided to fix it and his effort that day, though took a while, paid off. He also discovered that the dredging activities along the road cause sand to block the gutter, blocking the flow of water on the road, which spoils it constantly. Seeing that the government is not paying attention to the road, he decided to make it a duty to always fix the road and clear the sand from the gutter to make water flow unhindered in it. Mr Bassey resumes at 5am and closes at 11am each day. This has become his office (doing the job meant for the Government, LASTMA and police). He is not paid by anyone to do this (some good Nigerians dash him money for food as they drive by. From Sunday to Sunday, Morning to Night, he is always there working under the Sun or Rain. Many may think he is mad, but he said he is not, he is sane and hope others can do same. As Nigeria clocks 57, we need such men to be celebrated so that there will be a ripple effect of such selfless acts. He may have decided to look the other way like most of us will, but he faced the problem. If you reside in that area, show him some love, stop and discuss with him. Take photos of him and with him. He is quite friendly and approachable. This could motivate some people on the street to follow his foot steps. Cheers to this stand out man, Mr Bassey a.k.a ‘Iron Bar’. He is definitely the real MVP. This is an inspiring story of selflessness in a majorly selfish place.